This morning Mike agreed to come with me to the park near my office (it’s Saturday). The place is just crawling with little jumping spiders. I think of the place as a wee little spider treasure trove. We found some straight away. Mike quickly tired and lay on a grassy hill in a sunny patch. The park is quiet, with a rush of water to drown out the sound of the local traffic. It’s really peaceful there. The peacock jumping spider. Have you heard of it? If you’re in Perth and you’ve seen one, please get in touch. I am so keen (as is Mike) to see one in real life. Where might we find one? I’m always searching…and now Mike is too. 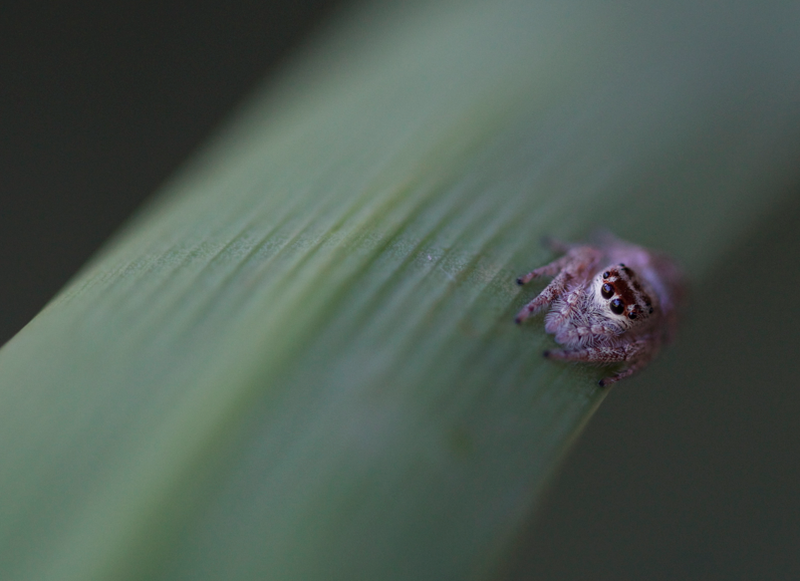 This entry was tagged Arachnids, Australian Wildlife, Jumping Spiders, Macro Photography, Spiders, Western Australia. Bookmark the permalink. They are cuties. How big are they in size, small fingernail maybe? 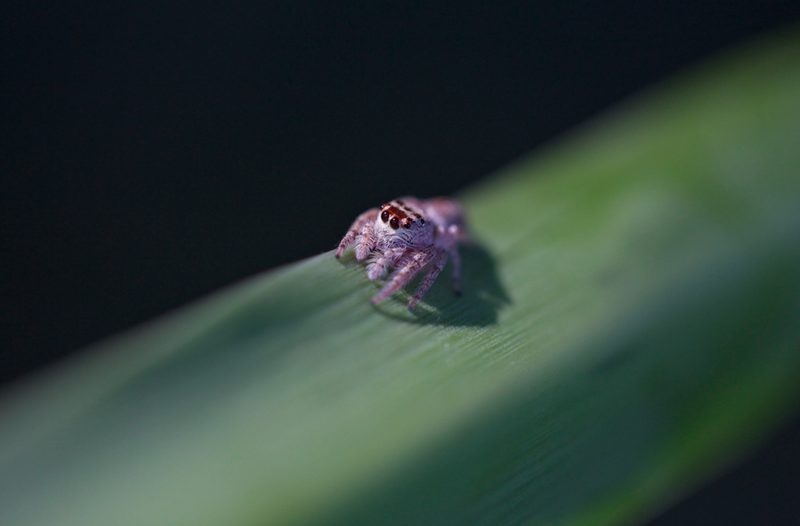 They jumping spiders I grew up around were tiny. They are definitely tiny. A few are as long as my index finger nail, but most that I’ve found have been smaller liker my pinky nail (I’ve got pretty tiny hands).